SPEE3D attended the 3rd Additive Manufacturing Forum which was held on the 14th and 15th of March 2019 in the Estrel Congress & Messe Center, Berlin. The forum’s aim is to share experiences with new processes, potentials and challenges of additive manufacturing. More than 800 participants and 90 sponsors and exhibitors attended the leading European conference & exhibition for additive manufacturing this year making it a very successful event. 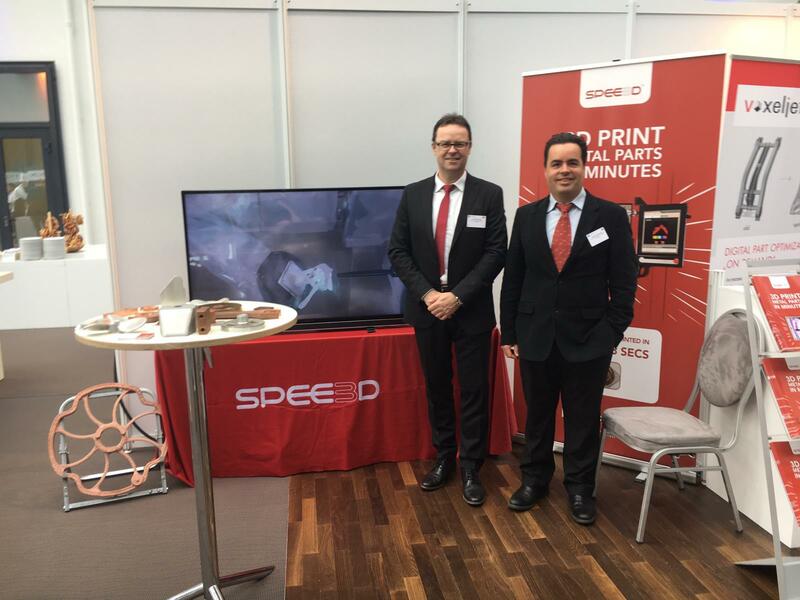 The SPEE3D team would like to thank everyone who visited our display at the 3rd Additive Manufacturing Forum. Ever Wondered How to Transport a Machine Over 3 Tonne?